Writing has the power to shape and influence the social and political landscape. 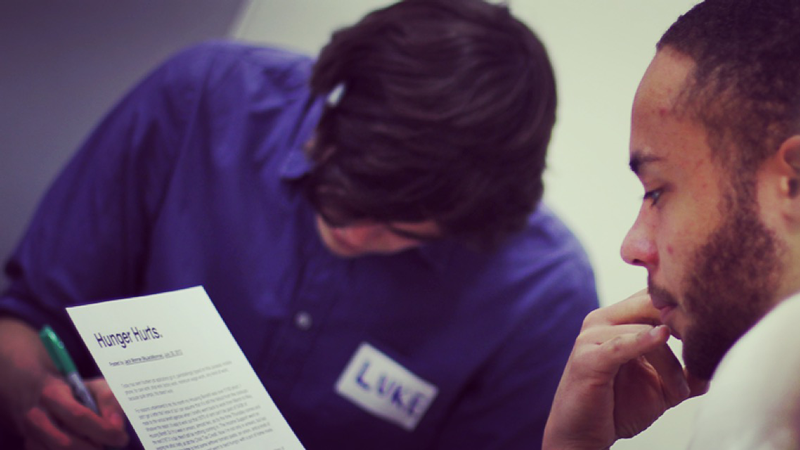 Writing for Social Change helps Fellows to discover and use their voices. From novels to manifestos, letter writing to investigative journalism, we explore how writing can expose injustice and support innovation. We read and discuss seminal examples of social change writing from Martin Luther King’s Letter from Birmingham Jail to Nick Davies’ Dark Heart. Fellows write blogs, pen articles for major news outlets, and learn how to tell both their own stories and the stories of the people they meet through their frontline placements. On Dignity by Louise Ellaway – 2013 Fellow Louise talks about her experiences at a North London Care UK home. The vicious cycle at the heart of homeless Britain by Rich Grahame – 2014 Fellow Rich explains why he founded Settle, a volunteer-powered service that supports young homeless people to settle into their first home. Writing for Social Change was developed and is taught by Sophie Howarth.